Sometimes it’s really nice to dress back down to basics in a simple combination that will always work, a jeans and top combination. But instead of the wardrobe classic T-shirt and jeans, I’m really digging a classic cardigan and Jeans look as my weekend uniform. The classic cardigan style has been around for so long and an investment piece when it comes to your basics side of the wardrobe. But this season the basic cardigan has had an upgrade. 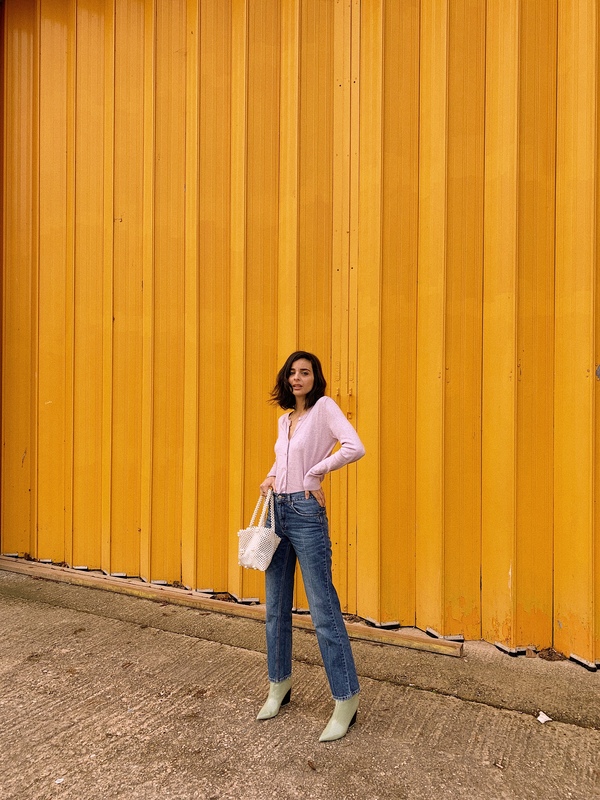 From colourful hues to pear detail buttons the high street have so many for you to choose from like this lilac number I’m wearing here from H&M. It’s a playful colour and a great way to incorporate pastel colours we are seeing pop up everywhere. 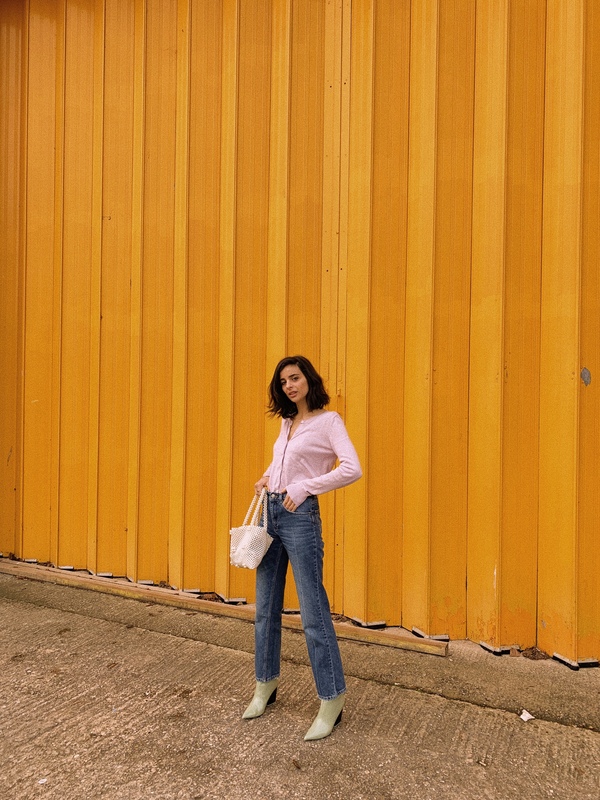 I’ve teamed it with my new pair of denim pants from Anine Bing and I can’t get enough of them, so much so that I have been wearing them non-stop. 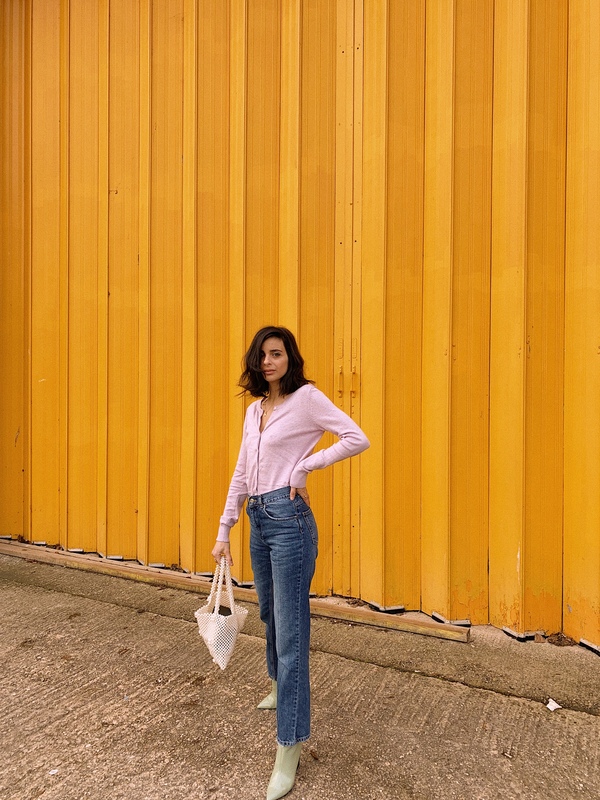 They are a good pair of sturdy denim, the kind where the denim doesn’t loosen after wear (which is a total plus for me!) and the mom style jeans have taken over my closet. The cut is high waisted which is perfect for tucking in a cardigan like this. 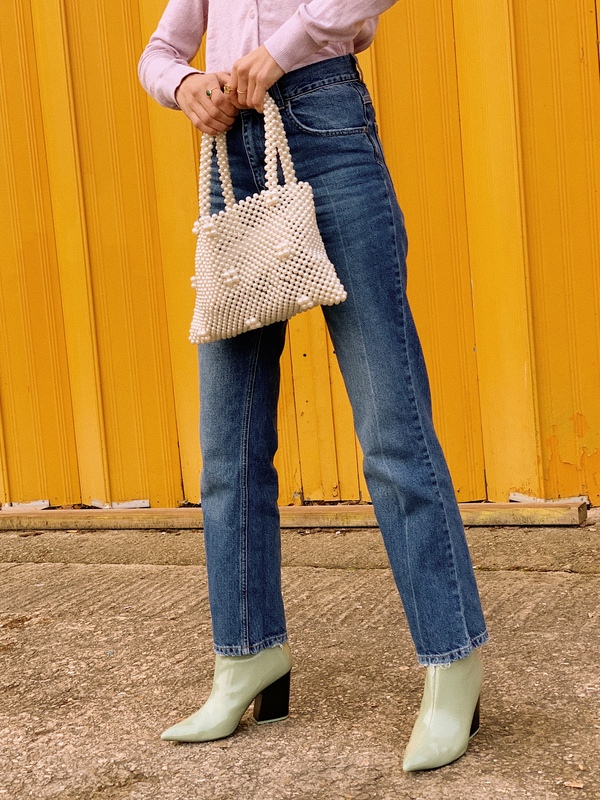 To add a little sass into this off-duty weekend look I’ve teamed it with my new pearl bag from Mango ( now sold out but similar here) and in the sale! It’s a great way to add a little fun into an outfit and off-balances this look perfectly. 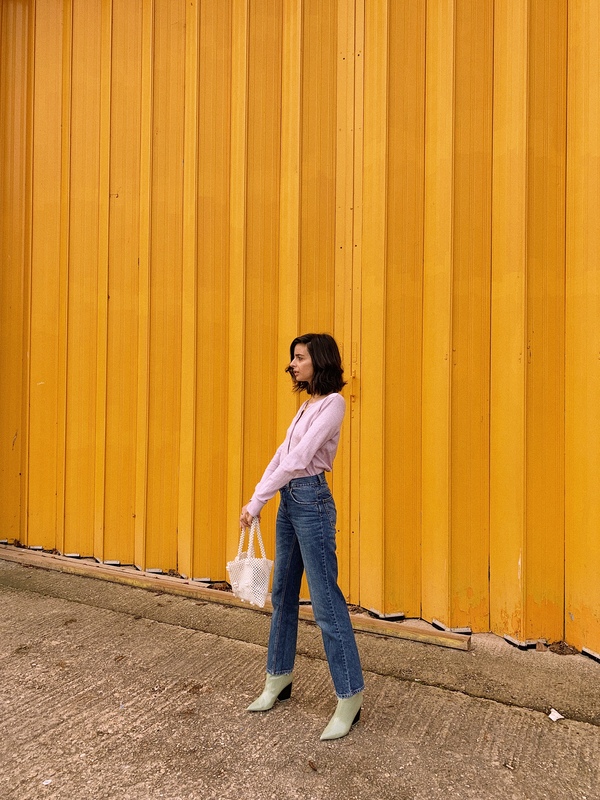 I’ve styled it with my new favourite and not to mention the hottest colour of the season with these pistachio boots from Topshop (now sold out but similar here and here). You always look so fabulous. I love that you can make anything look absolutely fabulous, no matter how simple it is. 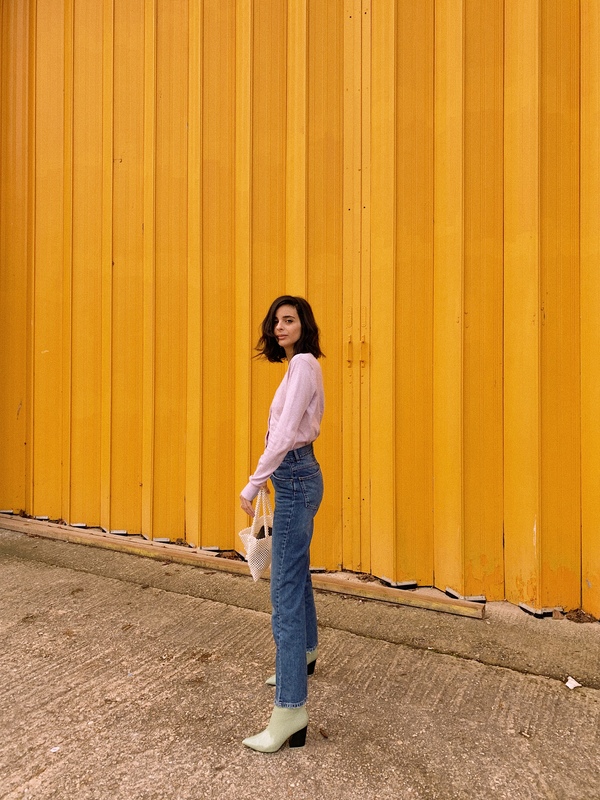 Finding a good pair of jeans with the perfect fit is an old struggle of mine… those fit you perfectly and they’re super cool! !